Clarity Management Consulting, a consulting firm based in Syracuse, New York, was awarded New York State certification as a Women-Owned Business Enterprise (WBE) by Empire State Development’s Division of Minority and Women-Owned Business Development. 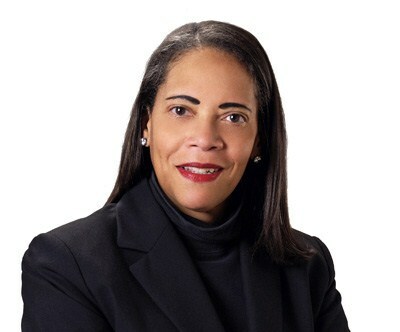 Monica D. Johns, MBA, PMP® is Clarity’s president and CEO. Clarity Management Consulting, a consulting firm based in Syracuse, New York, was awarded New York State certification as a Women-Owned Business Enterprise (WBE) by Empire State Development’s Division of Minority and Women-Owned Business Development. Empire State Development, New York's economic development agency, administers the Minority- and Women-Owned Business Enterprise (MWBE) State certification program. The MWBE program is designed to assist the growth and development of businesses owned and controlled by women and minorities. An important activity of the program is to increase the participation of those businesses in New York State procurement opportunities. Once certified, a company is officially recognized by all State agencies and most public authorities as a bona fide minority- or women-owned business enterprise. Monica D. Johns, MBA, PMP® is Clarity’s president and CEO. Johns has more than 25 years of technical and business experience including positions with General Electric, Corning, and General Motors. Her background includes engineering, process improvement, team development, program and project management, and consulting. She earned her MBA from the Wharton School at the University of Pennsylvania, and her Bachelor of Science degree in Industrial Engineering from the University at Buffalo. Johns received her Six Sigma Black Belt from the Institute of Industrial Engineers, and also holds the Project Management Professional (PMP®) credential conferred by the Project Management Institute. Clarity Management Consulting (http://www.claritymanagementconsulting.com) transforms businesses from the inside out. With expertise in project management, process improvement, collaboration, and team development, Clarity uses process improvement as an enabler for clients’ strategic goals. This allows organizations to more rapidly and effectively implement forward-thinking initiatives, such as expanding into new markets, providing new products and services, or embarking on new customer initiatives. Clarity Management Consulting is a nationally certified Women's Business Enterprise (WBE) and Minority Business Enterprise (MBE).